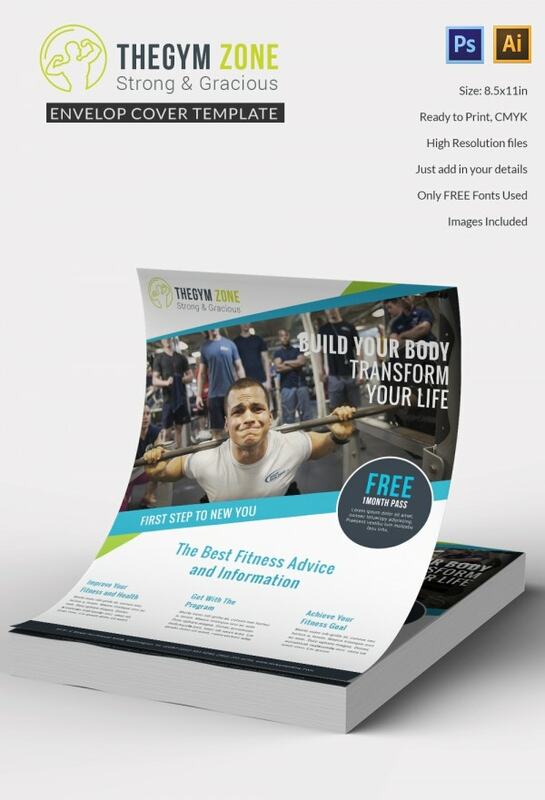 If you are a gym owner and need a strong mode of marketing then you need to print various types of banners, flyers, brochures, posters and many other things. They will not only help you to establish your identity in the market but will also make you easily recognizable. 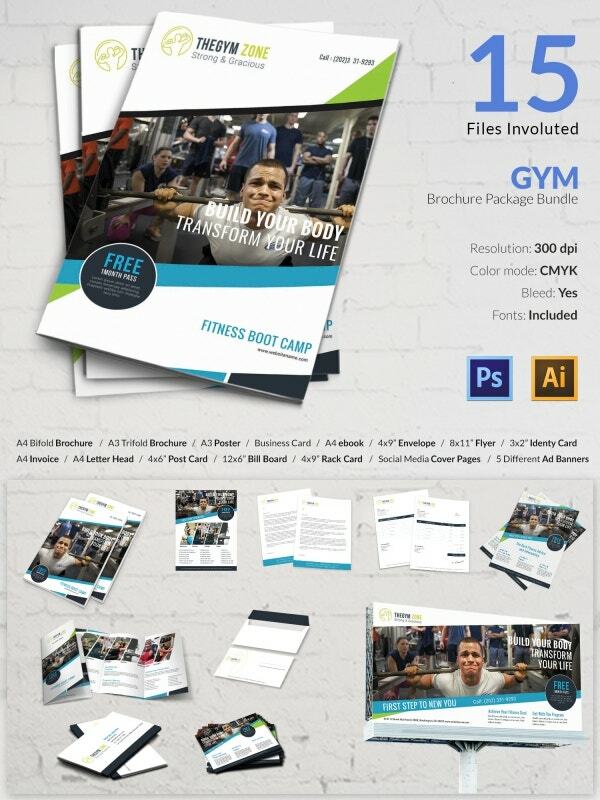 All you need to do is use these gym package templates as discussed below and create the required customized products that you might need to run the organization. 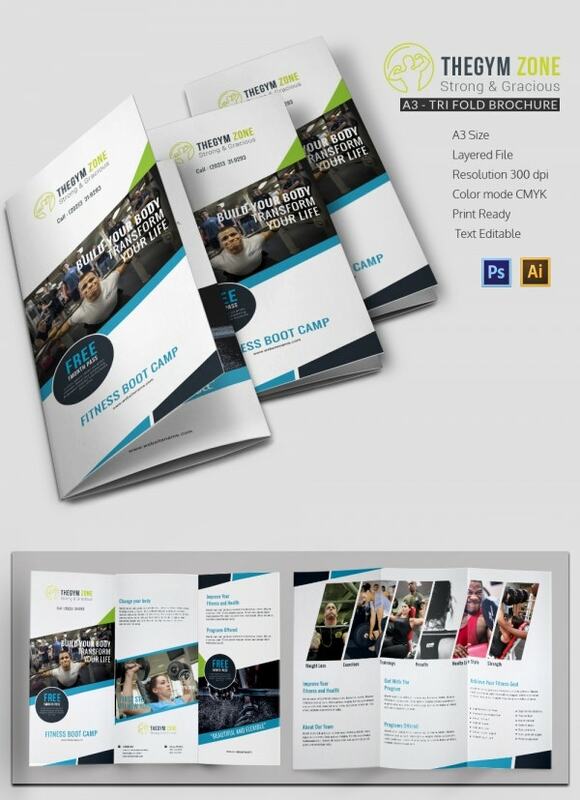 You can also see Gym Business Plan Template. 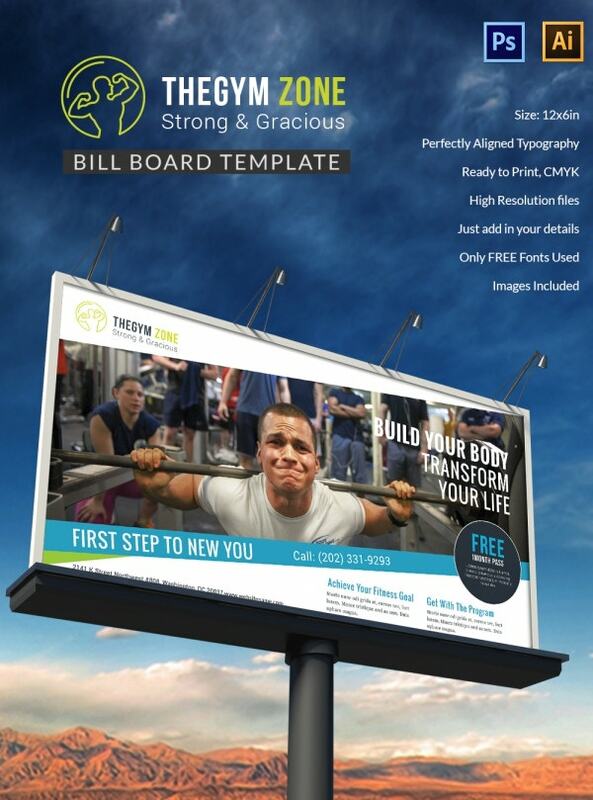 This template comprises of both the front design and the back page cover design. You can edit the file easily and insert your logo, company name, and other details on the front side of the cover. 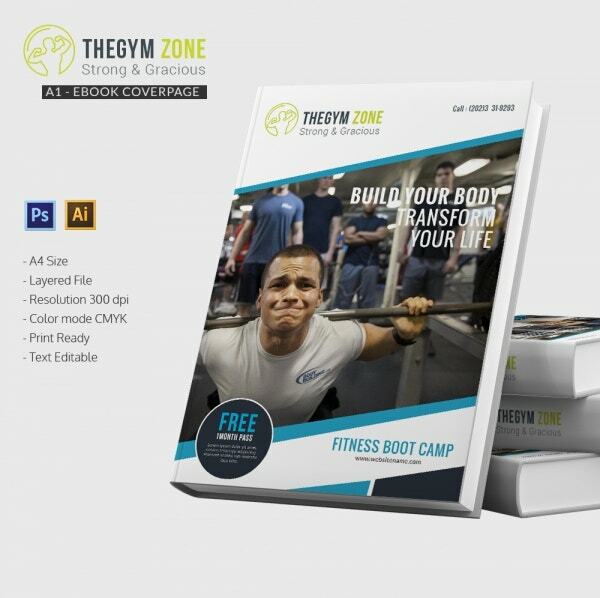 Also, you can add and explain various services provided by your gym on the back cover page by using Photoshop, Ai, and Corel Draw. 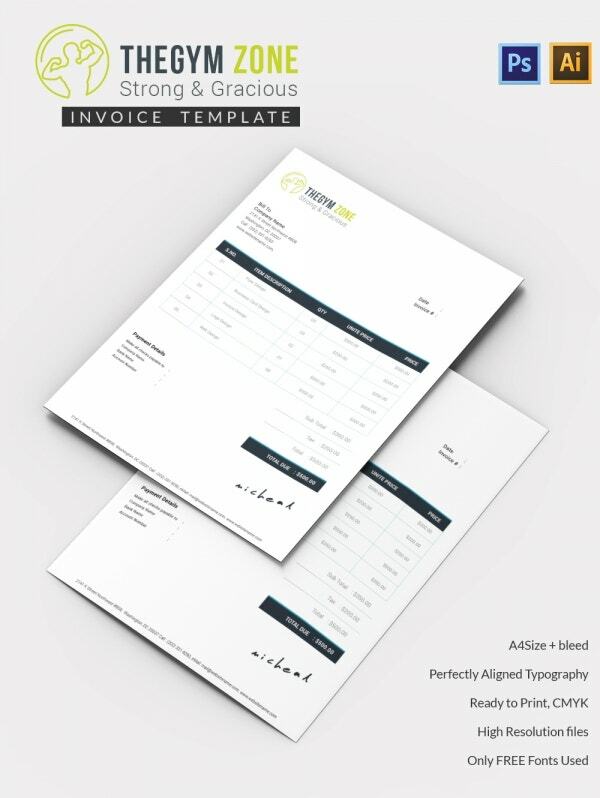 This template comprises of a brochure design that can be converted into a bi-fold document. The document can be easily modified and edited by using Photoshop and Illustrator. All you need to do is print the end product on A4 sized papers by maintaining a resolution of 300 dpi. 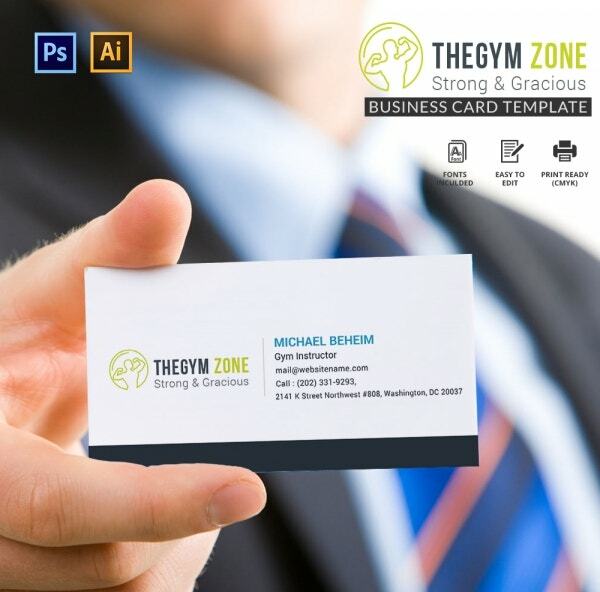 If you want to get more clients for your gym, start using a business card. You can not only distribute amongst your clients and friends but also can give them to people for official use. All you need to do is edit this particular template and replace the text wherever required using either Photoshop or Ai. 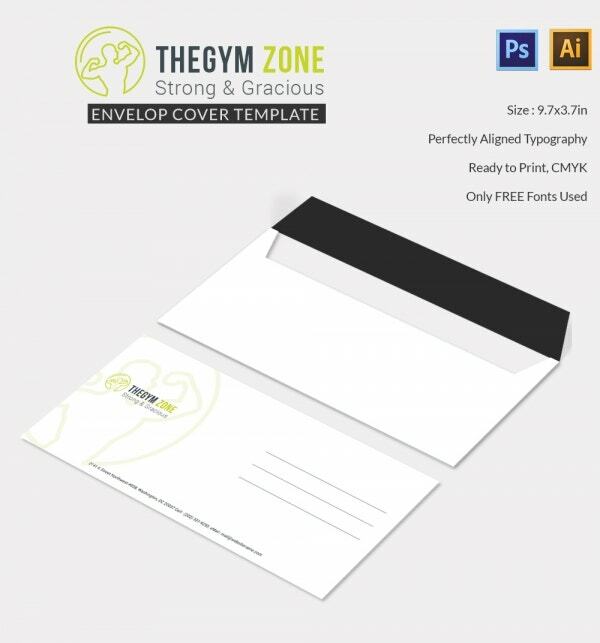 This template of a gym-themed envelope is very simple and clean to look at. You can easily fill it up with legible texts and company details. The file has a perfectly aligned topography and can be used to make envelopes of 9.7 x 3.7-inch. The color mode of the file is CMYK. 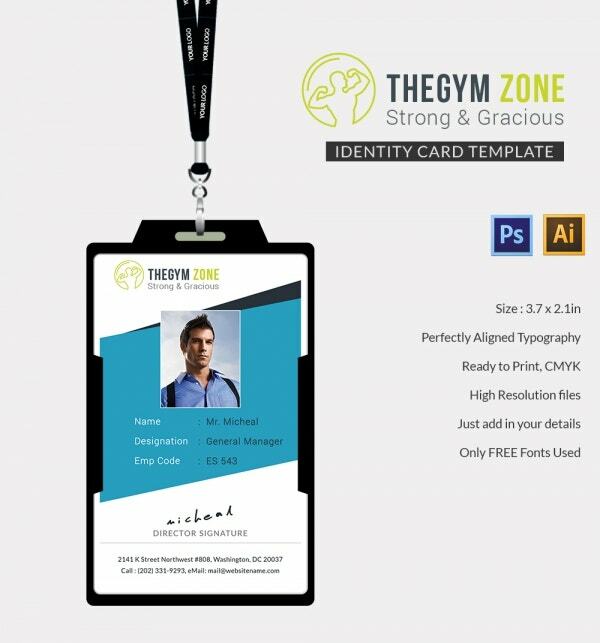 When your gym gets settled in the market, then do get ID cards for your employees. It will help you maintain uniformity amongst your team members and boost their confidence. You can use this template and edit your textual and other details by using Adobe Photoshop or Illustrator. 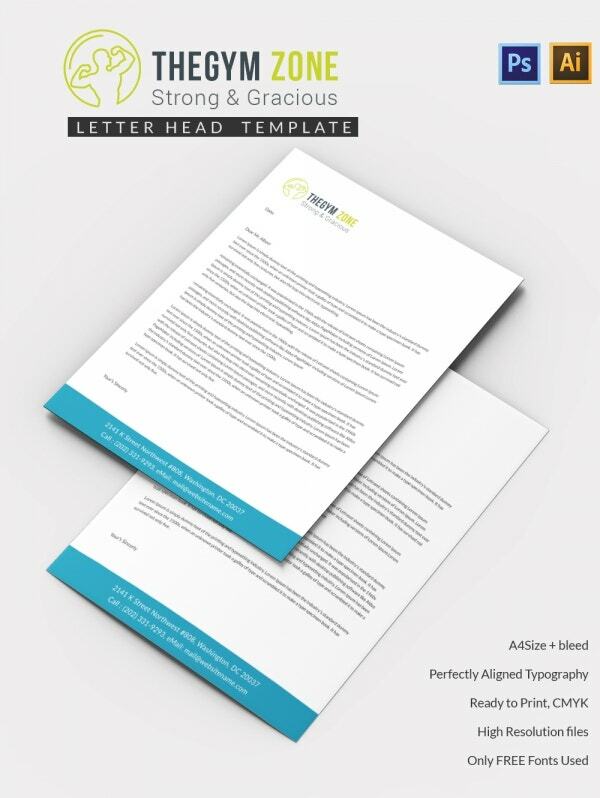 These letterheads have a friendly and semi-formal touch to it. Such a template is apt to be used by a gym owner. You can use it for mailing and documentation purposes. All you need to do is create your file by using either Photoshop or Illustrator and get the hardcopy printed or stored on A4 sized page formats. This template comprises of the back and the front design of company themed postcards. You can customize this template and use the front part of the design to show your company details, the logo, and the discounts offered, if any. The back of the file consists of spaces where you can put in your customer’s address and paste a stamp on it. You can use this design to create rack cards of 4 x 9-inch. The file happens to be of perfectly aligned topography and contains high-resolution files which can be easily customized and edited by using adobe Photoshop or Illustrator. You can readily print it once your design is done as the file is in CMYK color mode. 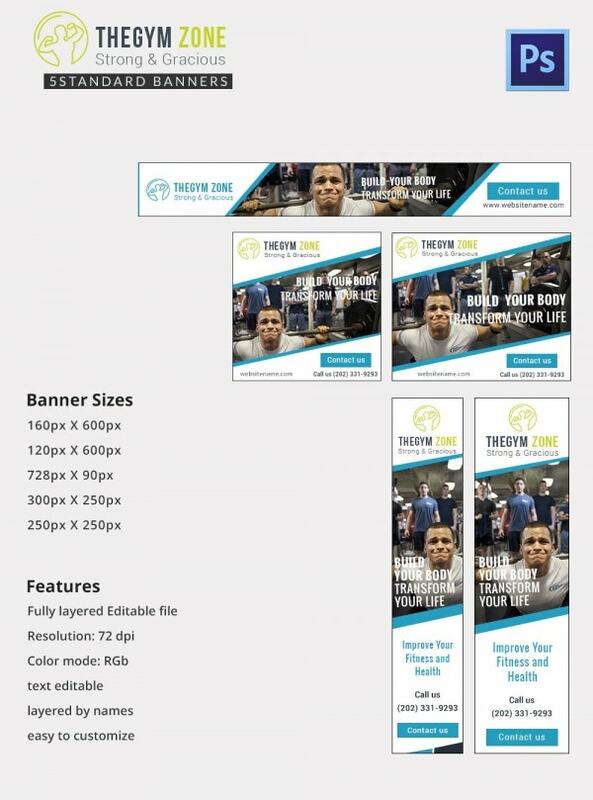 This template will give you abundant options, which you can put to use in case you want to create banners for your gym. The banner sizes vary from 160 x 600px to that of 250 x 250px. All you need to do is edit the text, names and other sorts of objects of the file by using either Photoshop or illustrator and print it with ease. This particular billboard has a very strong and elegant appeal to it. 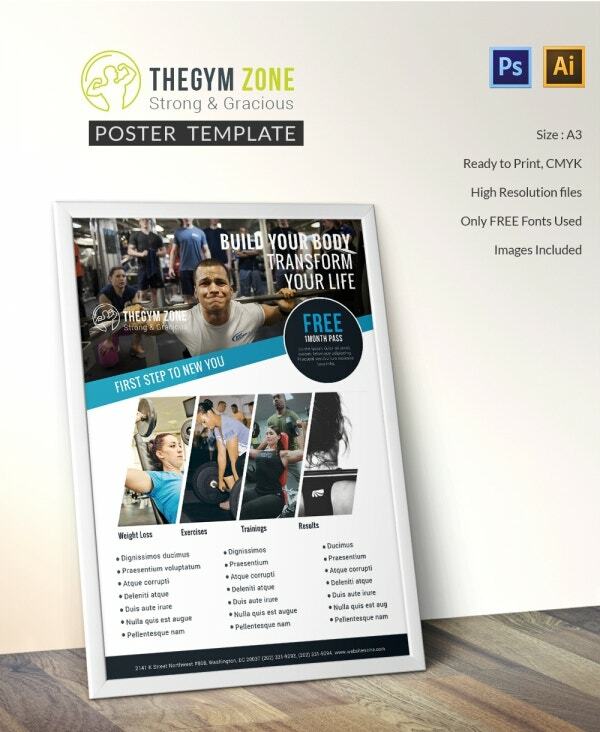 You can use a lot of space to showcase your pictures of the gym thereby marketing the entire thing by the use of pictures. Also, certain gaps can be left for big and legible texts which the passersby can read at ease. Ebook Cover Page happens to be the heart and soul of online marketing when you are planning to sell the soft copies of it. The template here caters to that. All you need to do is edit the text and pictures of this file when and where needed and print it if required on A4 sized papers. 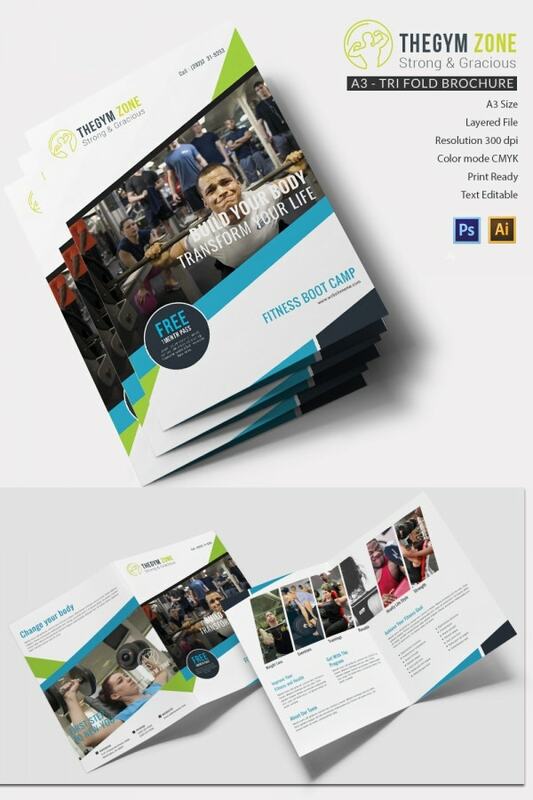 This gym flyer template has enough space for placing a picture and other texts. You can give a small and brief description underneath the company’s name and other details. To make it possible all you need to do is edit the file by using Photoshop or Illustrator and print them on paper sizes of 8.5 x 11-inch. 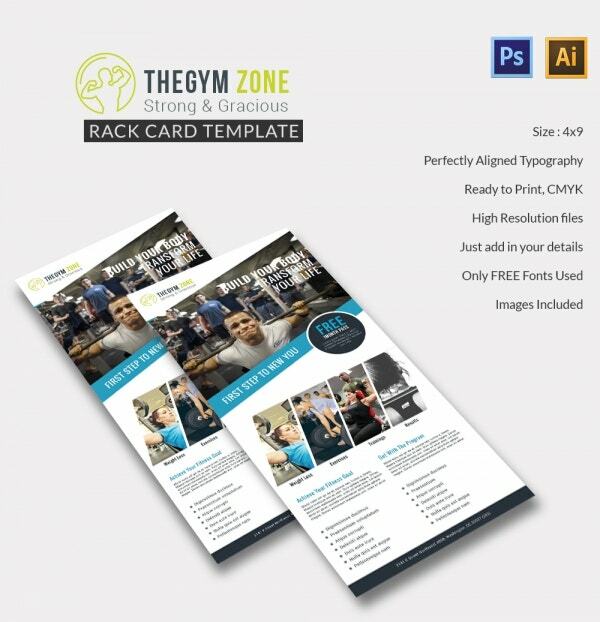 This template can be used to make detail filled invoices for your gym. You can use the top portion of the file to mention the client’s name and date of issue, the middle portion to mention the services offered and their serial number and the final price of it. Edit and customize the file using either Photoshop or illustrator. 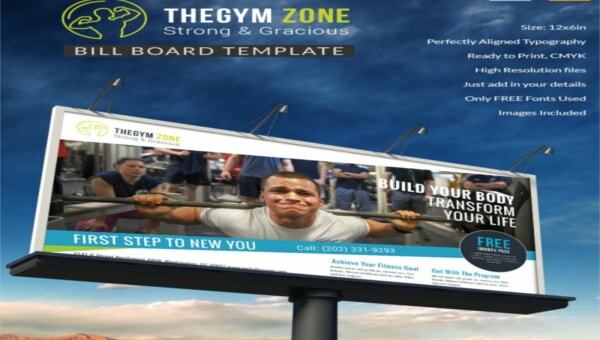 Gym based posters will manage to attract many people’s attention and they might mention the offers and discounts that they can avail. 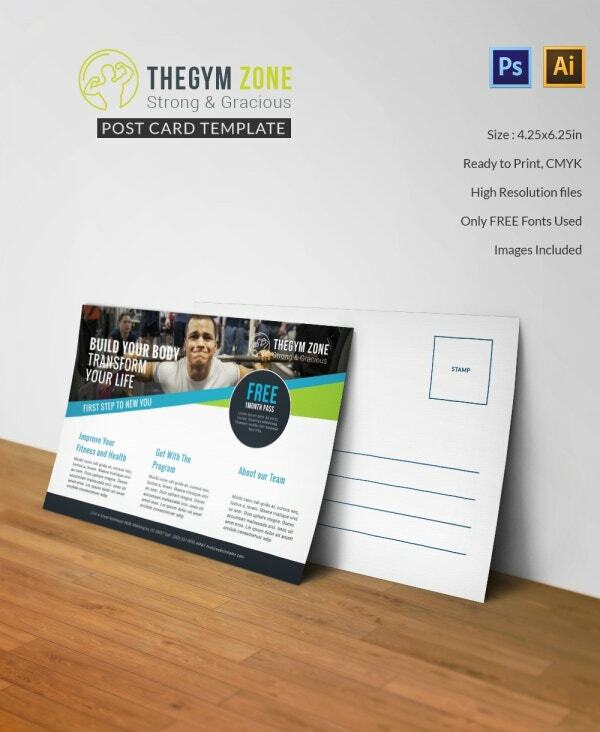 If you own a gym, then you can use this template to promote any special kinds of offers or discounts. The file is easily editable and can be printed on A3 papers. These social cover page based templates are to be used for making online promotions and marketing with the help of the sites like Facebook, YouTube, and Twitter. You can easily edit and add your details in the file by using Photoshop. These cover pages look attractive and very catchy when accentuated with catchy lines.